The human body contains a lot of ingredients, from the hydrogen and oxygen that make up its water content down to trace minerals like selenium and manganese. One of the most important is sulphur. It plays a key part in two of the essential amino acids that make up your muscles – methionine and cystine – so it's found in every meat, as well. Most people get enough sulphur in their diet without much effort, though if you're concerned about it, you can boost your sulphur intake by adding sulphur-rich flavorings to your foods. On the other hand, if you're avoiding sulphur because of Irritable Bowel Syndrome or other medical issues, you might want to give these a miss. Of all the flavoring ingredients that contain sulphur, the onion family is one of the biggest and most versatile. It includes the usual white, red and yellow onions you find at every supermarket, the green onions you put on your salad, and more interesting cousins like leeks and shallots. The sulphur compounds that give onions their flavor are formed when you cut or bite the onion, which breaks cell walls and combines the molecules that produce those pungent tastes and aromas. You'll get the most flavor from fresh onions, of course, but dehydrated onions and onion powder still have the same underlying chemistry. Properly speaking, garlic is also a member of the onion family, but its flavor is distinctive enough that it really deserves its own spot on the list. Also, it's got the highest sulphur content of the entire onion family. The fresh cloves are easy to find year-round, but you can also buy it as a granulated powder, a ground garlic paste in a squeeze tube or pre-minced in a jar. Fresh garlic usually has the boldest flavor, but the others are convenient for those moments when you just don't have the time for peeling and mincing. Horseradish and wasabi are both part of the extended family of brassicas, which also includes vegetables like cabbage and kale. They're all liberally blessed with sulphur-based compounds, which lend a pretty recognizable stamp to their cooking aromas. Horseradish is a big white radish, kind of like a daikon's evil twin. Daikon is sweet and has only a hint of the typical, peppery radish flavor, while horseradish invades your sinuses with a searing heat. Culinarily, it's the difference between a votive candle and a welding torch. That heat comes from the root's sulphur compounds, designed to keep it from being eaten. Wasabi is a related but different plant, with a similar burn but with subtler flavors underneath. Real wasabi is rare, expensive and hard to find, so the "wasabi" you're familiar with is regular horseradish with green coloring added. The mustards, both the kinds eaten for their greens and that used for their seeds, are also part of the far-flung cabbage family and high in sulphur compounds. 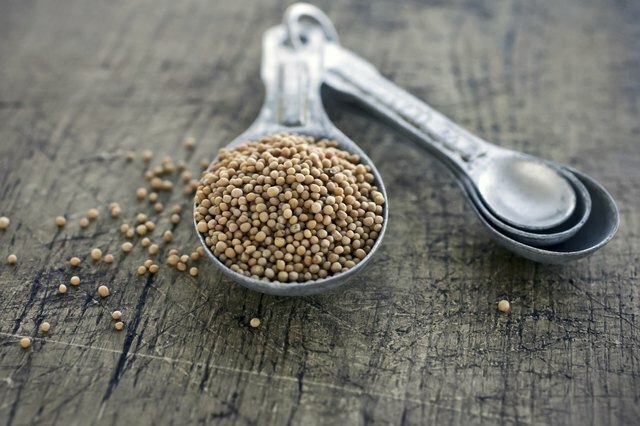 Ground mustard seed hits your palate with the same kind of heat and intensity as horseradish, though it's toned down just a little bit. 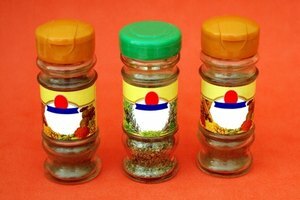 You'll find three different kinds of mustard seeds: white, yellow and brown. The simple rule is that the darker the seed, the more intense the flavor. 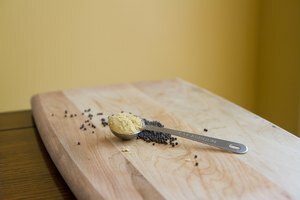 Mustard is hottest when freshly ground, and begins to mellow a few days after it's mixed. Fenugreek is something you'll see mostly in Indian recipes, where it's widely used. It's an unusual and interesting flavoring, because technically it's a legume like beans or peas. The leaves are used fresh or dried as a herb, and the tiny beans are sold whole or ground as fenugreek seed. The sulphur in fenugreek comes as part of its protein content, through the essential amino acids methionine and cystine. The seeds have really interesting flavor, with a base of bitterness underneath sweet, almost butterscotch-y notes. Nigella seed is another spice that's used widely in India as well as throughout the Middle East and Central Asia. 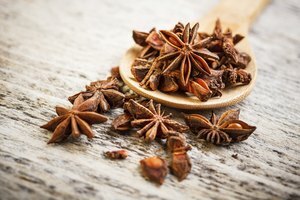 You might find it under a couple of other names, including "black cumin" and "black caraway." It's neither of those, and oddly it comes from a plant in the buttercup family. 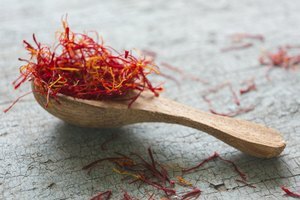 It's got a mild flavor with hints of oregano and onion – the onion flavor being where the sulphur shows itself – that comes out when it's ground or chewed. If you've ever had a flatbread with black seeds sprinkled on it, those were probably nigella. Kalonji is the name used in Indian recipes. Asafoetida is made from the sap of a plant in the carrot family, which is dried and then ground to a pungent, sulphur-rich powder. Pungent is the key word here, because asafoetida is named for its fetid odor. It basically smells like something crawled into your kitchen and died, which is why it's got colorful nicknames like "devil's dung." Even if you store it in an airtight tin inside a sealed bag inside a Mason jar, you'll still occasionally catch a whiff of it. So, why do people keep something like this in their pantry? Because when you warm a pinch of it in hot oil, it magically mellows to a rich and sophisticated flavoring with hints of onion and garlic, but much, much more as well. It's absolutely essential to a lot of Indian cookery – it's called hing in Indian recipes – and worth experimenting with, as long as you've got a well-ventilated kitchen.